Change in forests is natural and healthy, yet it is likely that we are at a time when the number of stressors facing our forests is greater than it has ever been. In addition, the pace with which the stressors are arising is increasing. We are now facing an uncertain future, in which our forests will encounter many challenges, including land conversion, invasive plants, insects, and diseases, heavy deer browse, and climate change. These pressures threaten the personal benefits that forests provide to their owners as well as the many benefits they provide to the public. All forests and the landscapes they lie within have some characteristics that make them resilient and others that make them vulnerable to stressors. We can increase the resiliency of our forests and landscapes by evaluating these characteristics and implementing actions to address the vulnerabilities. In New England, this means reaching the local decision makers influencing our forests, specifically landowners, foresters, municipal officials, and conservation organizations. It is our hope that this publication will provide these critical stakeholders the information and resources they need to increase forest resiliency. 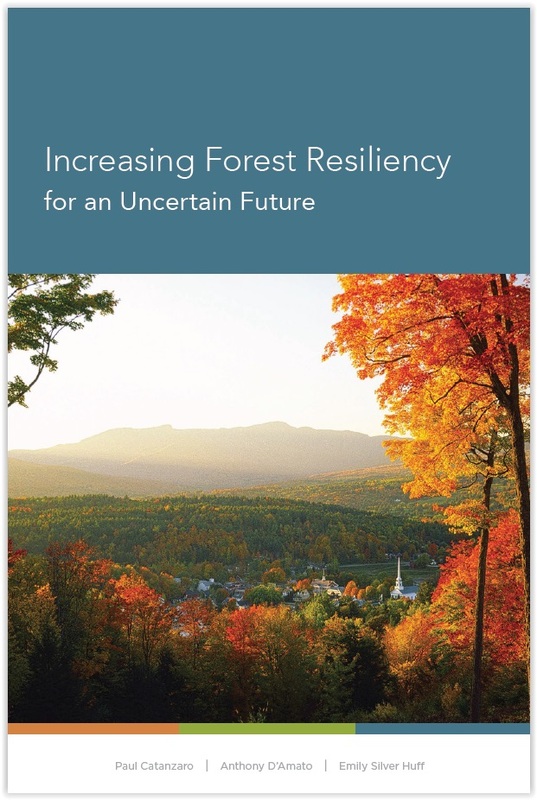 To learn more, download the "Increasing Forest Resiliency" PDF (5 MB) or request a free copy by e-mailing Paul Catanzaro.